Technoweigh India, manufacturer, exporter and supplier of Industrial Weighbridge, Load Cell, Electronic Weighing Scale, Weigh in Motion, Electronic Weighbridge, Highway Weighbridge for Industrial and much more. 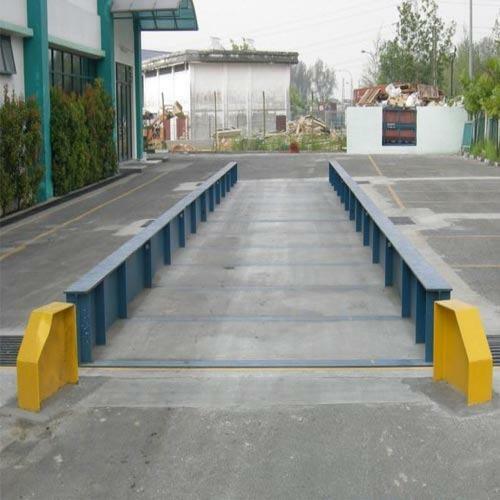 Technoweigh India is an organization manufacturing, exporting and supplying a range of Industrial Weighbridge, Load Cell, Electronic Weighing Scale, Weigh in Motion, Electronic Weighbridge, Highway Weighbridge for Industrial and much more. Manufactured using cutting-edge technology, our products are widely applauded for easy installation, low maintenance, load-bearing capacity, and sturdy construction. We obtain only factory-tested raw material from a reckoned vendor base of the industry. Owing to this, our products are used in roads, highways and various areas for measuring the weight of vehicles.